As outlined in this issue’s Washington View column, the endeavor has caught up the MoD’s technology branch, the Defense Science & Technology Laboratory (DSTL), its commercial licensing arm, Ploughshare Innovations Ltd., and a couple of DSTL innovators, Tony Pratt and John Owen. Yes, this crew has been busy, busy, busy in recent years — filing applications at patent offices around the world that would put two families of signals intended for global exploitation — including the GPS L1C and Galileo Open Service — into the pocket of national commerce. Very interesting . . . since everyone knows that a technical working group comprised of experts from Europe and the United States had crafted and agreed upon the key elements of the signal design. With patents published in the United Kingdom, Australia, and Europe, and another nearing approval in the United States, Ploughshare has begun making the circuits of GNSS companies with the prospect of royalties hanging over the conversations. This appears to be more than the oft-repeated observation that America and Britain are two nations divided by a common language. During this bicentennial of the War of 1812, one can’t be too careful. I mean, what kind of “special relationship” is this, anyway? Perhaps we have been Pollyannaish, lulled by the too-good-to-be-true aura that surrounds that U.S. gift to the world: the Global Positioning System. Because while the stewards of GPS assert the principles of free and open GNSS services playing on a level field, they appear at risk from someone stealing the ball behind their backs. Many people have tried to reinvent the wheel, but no one has gotten into a patent fight over it. 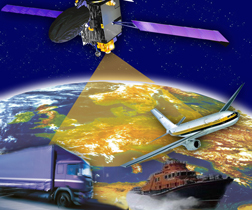 Of course, provocative intrusions are not unknown in the world of GNSS technology. Russia’s import duties on GNSS receivers lacking GLONASS, China’s dilatory approach to BeiDou ICDs and its overlay on Galileo’s public regulated service (PRS), the earlier European footprint (now withdrawn) of PRS on GPS M-code. In this case, however, our British colleagues appear to be plowing someone else’s field — many other persons’ fields, actually, because aside from the U.S./EU agreement on common civil signals, GNSS systems in general are converging on the de facto standard. Are we seeing, once again, the “tragedy of the commons” at work, where the quick and clever privatize the endeavors of many? The situation has become something of an enigma wrapped inside a conundrum since the parties to the patents, when confronted in their endeavors, have fallen publicly silent. Within this void of explanation we can sense a furious intensity of reflection among the perpetrators. One that matches the often furious exclamations of program managers and officials — both in the United States and around the world — discovering the signal patents. And yet caution and an assumption of benign intent should guide the expanding dialog taking place privately about this issue among GNSS providers. Pratt and Owen are men of good repute; DSTL, a bastion of innovation. In this instance, they may have overreached, nay, encroached upon the commonwealth of GNSS. But it is a trespass that can still be put right.